Competition kicks-off tomorrow as the Madden NFL 19 Hall of Fame Edition launches on Xbox One and the PlayStation 4. The new MCS beefs up the number of tournaments by 60% with more to be added throughout the season, with the rise of live event qualification spots spearheaded by the 500-plus entry Madden NFL 19 Classic format, an extended season with competition occurring now through late spring 2019 and the showpiece Super Bowl LIII-timed Madden NFL 19 Club Championship with the $700,000 prize pool. 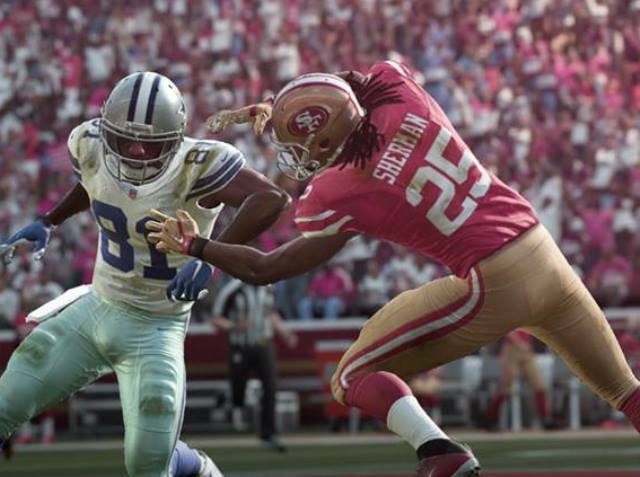 Additionally, Madden NFL 19 gameplay enhancements like the all-new Real Player Motion system ensures the on-screen competitors move and behave like NFL athletes in how they tackle, block, run and cut — increasing the game’s authenticity. The increased competition includes online matchmaking, grassroots tournaments known as Challenger Events, large-scale exhibitions known as Premier Events, and the four EA Majors – Madden NFL 19 Classic (Oct. 11-13), Madden NFL 19 Club Championship (Jan. 30-Feb.2), Madden NFL 19 Challenge (Mar. 15-17), and Madden NFL 19 Bowl (NFL Draft week). Competitors will accrue points throughout the season with the best gaining entry to the Madden NFL 19 Bowl where the Madden NFL 19 champion will be crowned. We will add additional tournaments throughout the season to ensure the competition continues to shine well into spring 2019.